Connect with your wedding DJ about your wedding ceremony music before booking them! 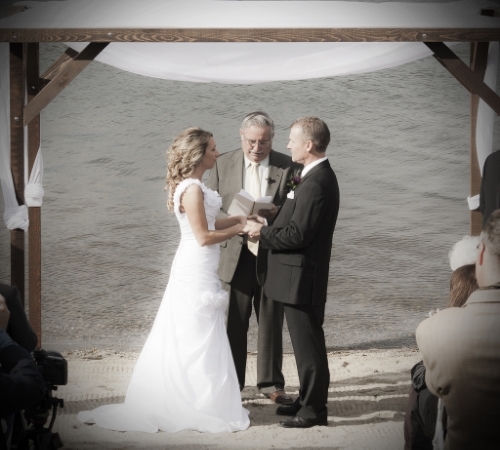 Your wedding ceremony is more than important for you. This is a once-in-a-lifetime kind of event and you really don’t want anything to spoil it. You want everything to be picture-perfect and absolutely dreamy – and this includes the music as well. If you have chosen to hire a DJ for your wedding ceremony, make sure you connect with him before it, so that everything is flawless. What are some of the important discussions to have with your DJ before the ceremony? We have some tips for you – so read on and find out more. · First of all, ask him if he has ever dealt with your wedding ceremony site (or anything similar). If he has, it means that he will know how to make sure the sound is perfectly heard from all corners of the site (so that it reaches all of your guests at the same quality). · Furthermore, ask about potential extra-rentals he may need. Most of the professional wedding DJs do have all the necessary equipment – but since it’s better to be safe than to be sorry, you should still ask him beforehand. · Also, ask about his ceremony repertoire. DJs who have worked at a lot of weddings have a no-fail list of songs that could give you some pretty good ideas too – so this is a very useful question to ask. · Last, but definitely not least, if you have a more unconventional ceremony song in mind, do make sure that your DJ will be able to play it. Talk to him about this, so that he knows how to prepare! 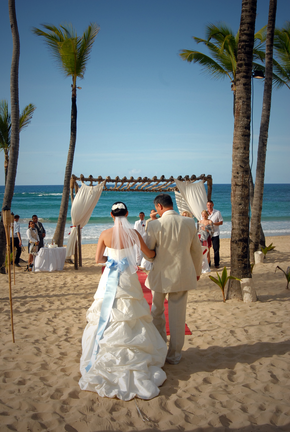 Blue Water Weddings can help you plan flawless weddings in Florida Keys – so if you’re on the lookout for a great wedding planner to help you pull together the ideal destination wedding, we are the answer. Contact us and find out more about our services!